Our menus include options for breakfast, breaks, served lunch, buffet lunch, hand passed hors d'oeuvres, served or buffet dinner, desserts, and late night munchies. Looking for our Wedding Menus? 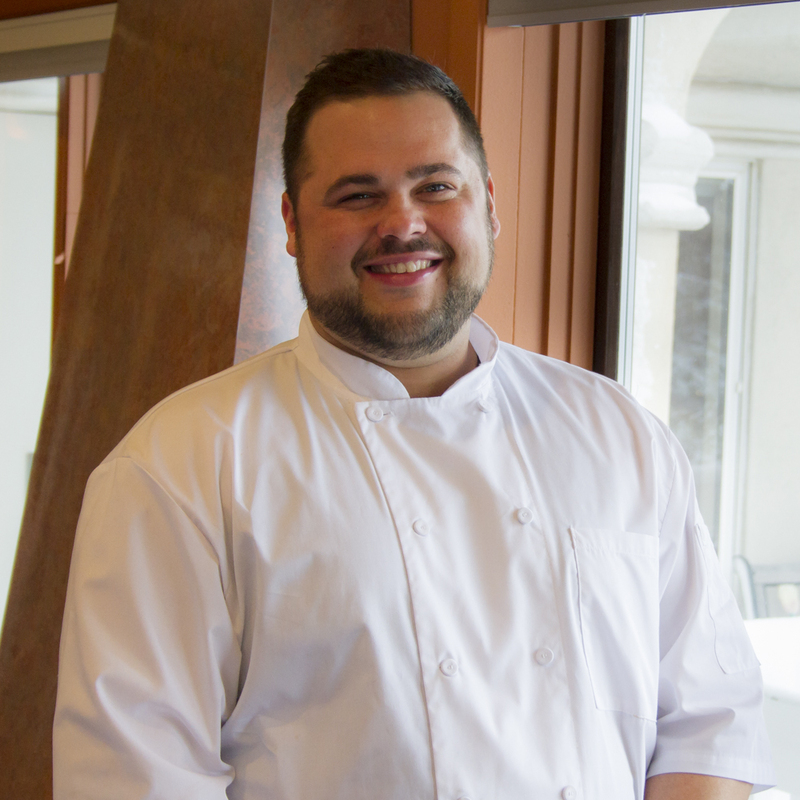 Chef Scott is a graduate of SUNY Cobleskill and Gannon University where he received degrees in Culinary Arts & History. After graduating, he worked for Turning Stone Casino, including the Four Diamond Wildflowers Restaurant. Moving back to Rochester to continue his culinary journey, his resumé includes some of the elite restaurants and clubs in the area. Some of these include Black & Blue, Genesee Valley Club, The Grill @ Strathallen, and Penfield Country club. Chef Scott has been able to cultivate a sophisticated regional style of cooking, pairing his knowledge of French and American cuisine with the use of fresh local produce as the backbone for his dishes. His family has been his true motivation and Inspiration throughout his career with endless love and support.